Using modern rope techniques, we are able to gain quick and safe access to clock faces where we can undertake general clock face maintenance including cleaning, painting and re-gilding. 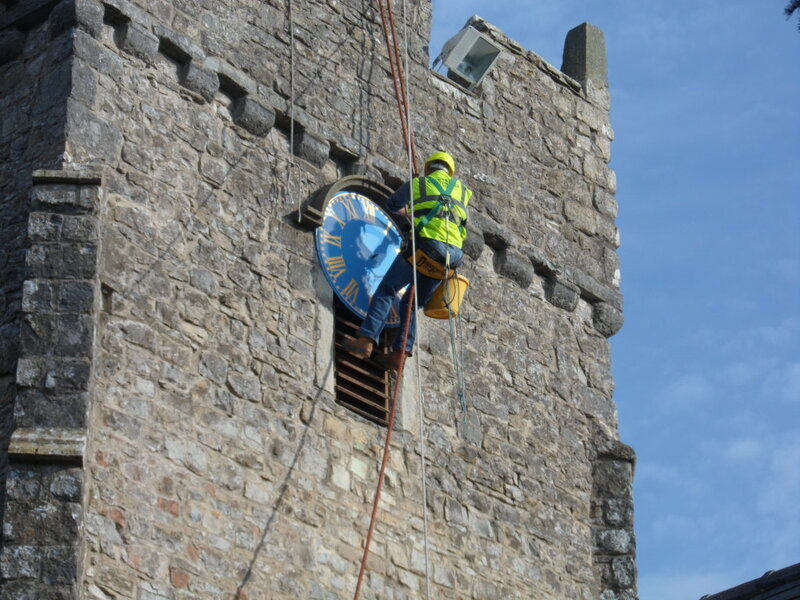 As well as removing the dirt which has built up over the years, our experts will carry out essential clock face maintenance to the mechanism that moves the clock hands. The technicians can carry out a thorough survey to check the clock dials for damage. We provide cost effective rope access inspections and clock face maintenance surveys at height and follow these up with detailed written reports. Our reports are accompanied by full colour still photographs or DVD recordings of our findings. Ensuring that the technicians are able to work safely is the highest priority. 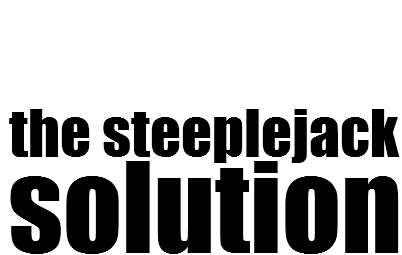 Our team is made up of skilled staff with experience of working at height. Our firm also offers a range of other services including annual maintenance and inspection of gutters and discharge pipes preventing blockages and associated water damage. Repair of blocked, damaged and failing lead work. Repainting and re-gilding of clock face at St John’s Church, Bassenthwaite, Cumbria. Clock face repainted and re-gilded prior to re-instatement.